The war is Afghanistan is currently an important issue for many people. Many families have loved ones serving our country in an attempt to fight global terrorism. Generally, speaking most of us know very little about the landscape of Afghanistan, including topographical, infrastructural, and political, layout of the country. In an attempt to provide a little spatial information about Afghanistan I have put together a blog post highlighting some of these issues related to this war torn county. 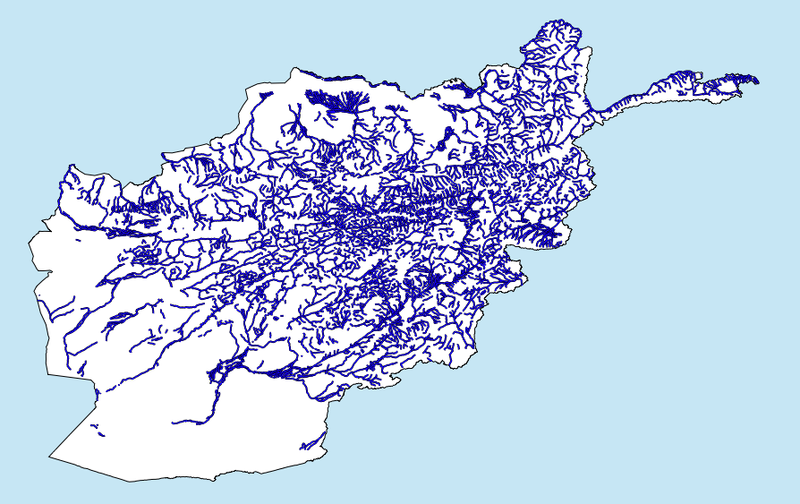 The data for this blog post was recovered from Afghanistan Information Management Systems which is a free GIS data download website. 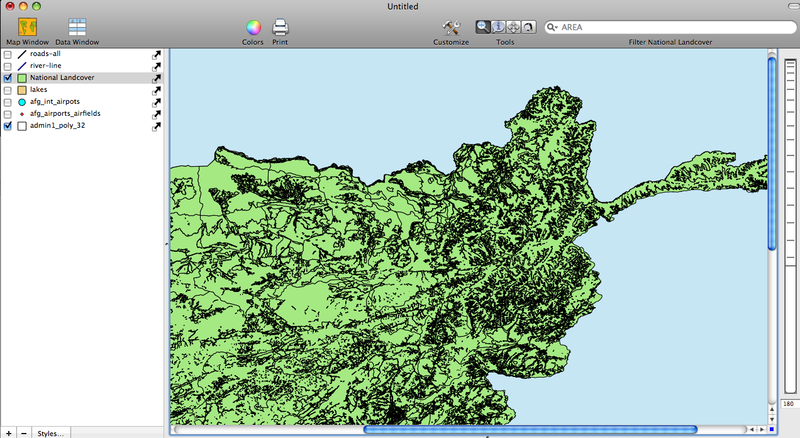 The website provides several shape, line, and polygon files that can be used in Cartographica. I decided to show the roads, rivers, airports, and the national land cover because this is information that the public usually does not see on televised shows depicting the events of the war. Shown below are the maps that I created using this data.